It was a brisk Wednesday evening. I remember this because, there being a recession on and all, I only ever go to the cinema when it’s Orange Wednesday. And, well, I live in London so it’s pretty much always brisk. My friend and I finally got round to seeing a film that we’d been anticipating the release of since the trailer landed on Youtube – the film in question: Easy A. And there she was, the most hilarious actress I’ve seen on screen since Jane Lynch. If you haven’t seen Easy A, quite frankly, sort your life out. No, I kid, it’s really not that deep, but if you have some free time and a Netflix account, watch it, it’s pretty good. She was awesome yet again in Crazy Stupid Love and she her presence might even sway me towards watching that new Spiderman movie (I’ve already watched three of those, I really don’t get why they’re making more, but whatever). Thus far, I’ve only witnessed Emma as a lovable comic, so I’m intrigued to view her in serious mode as Skeeter Phelan in The Help (I know, I’m super late, but that’s only because my mum has just lent me the book; once I’ve finished, I’ll be all over Netflix). 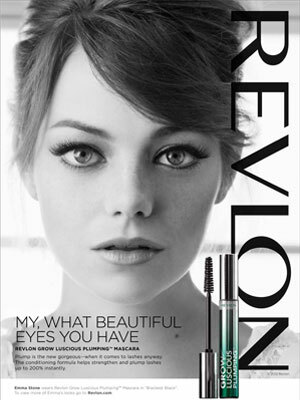 Her talent and striking-yet-approachable looks have even landed Stone a Revlon campaign as well as awards and nominations a-plenty, and something tells me there’s more yet to come…that something may be Wikipedia, telling me that a Spiderman sequel is already in the works, but I would have guessed anyhow.